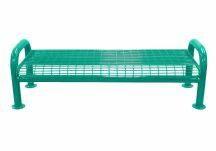 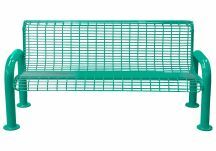 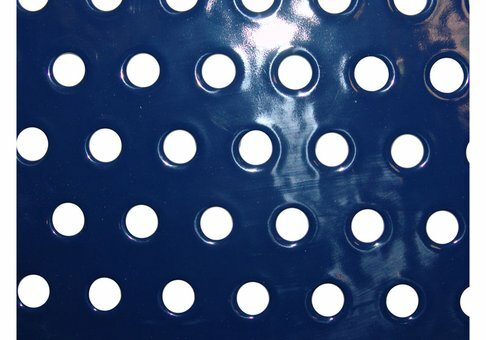 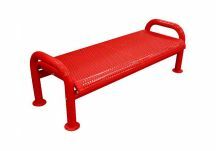 This 4' Perforated Metal Park Bench has a u-leg design, features a contoured 11-gauge perforated steel seat and back, and is available in two color combinations from 16 color options. 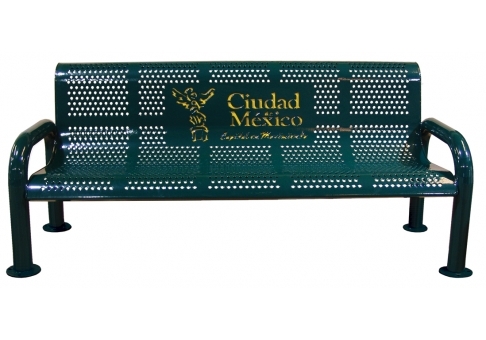 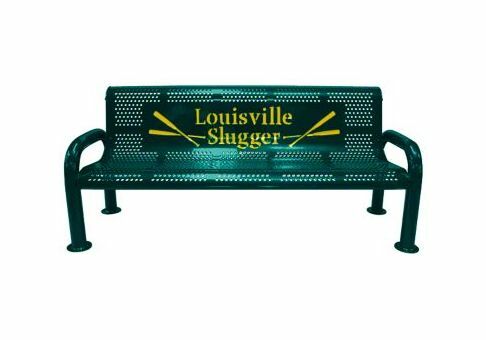 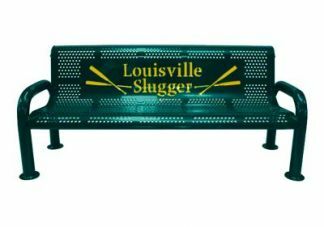 Length: 48" - Width: 27" - Height: 33.5"
Seat Depth: 18" - Seat Height: 14"
Leg Width: 3" - Leg Thickness: 3" - Leg/Arm Height: 24"
This bench is available with a custom multi-colored sublimated plate (as pictured below). 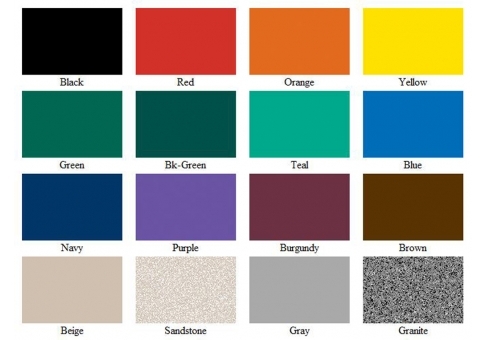 Each job must be quoted individually. 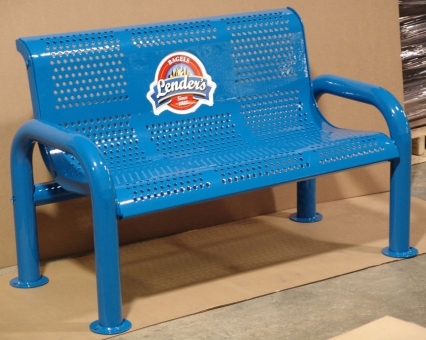 Please call customer service (1.800.510.8325) or use our contact form to get a quote for your bench.